The Pope Lick Monster, or as most locals call him, the Pope Lick Goat Man, is said to be a half-man and half-goat creature. The beast is thought to live under the train trestle on Pope Lick Road. According to legend the Goat Man was a local farmer who had sacrificed goats as part of an occult ritual. Somehow during one of these ceremonies he was transformed into a monster. Another popular theory is that the Goat Man originated somewhere in Northwest Canada but was captured and made an attraction in a carnival that traveled all over North America. However, as the train carrying the Goat Man and other carnies was headed to Louisville in the mid-20th century, lightning struck their train, and it derailed on the trestle. Since then, the Goat Man has lived in the area by Pope Lick Creek and the trestle. He has quietly been stalking residents of Jefferson County and luring them onto the train trestle which leads to their demise. 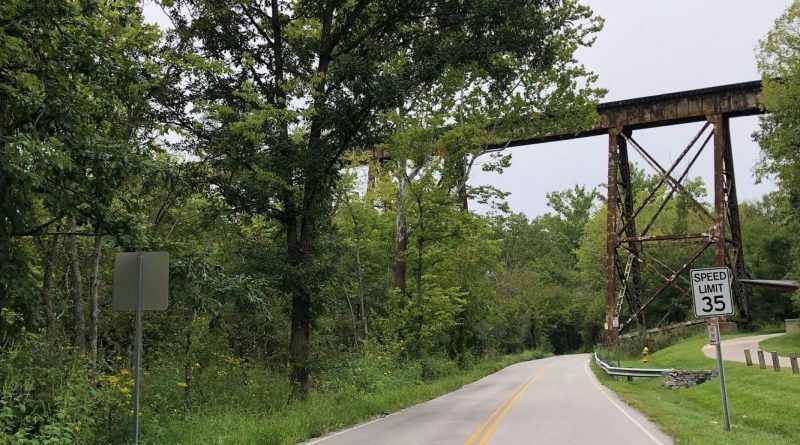 In 2016, a woman from Ohio reportedly saw the Goat Man and climbed the trestle to get a closer look. Unfortunately, a train was coming, and the Goat Man claimed another victim. If you are on Pope Lick Road and think you see the Goat Man do not approach him. Whatever you do, do not climb the trestle as it is still in use by the railroad. To learn about where the Pope Lick Goat Man lives check out the Louisville Ghost Map in the iTunes App Store for only $1.99.